Cut back on production time by cutting your carriers closely. Overlapping HTV and carriers will adhere to each other instead of the garment, but if they’re trimmed then you can avoid overlapping and apply multiple colors at one time. If you’re getting carrier marks consistently, check out tip #3. If they’re still an issue, lower your pressure. Carrier marks are hard to photograph, but appear more clearly in person. You know how in baking something can be under done, just right, or baked to the point of burning? Well applying HTV is kind of like baking. You don’t want to over or under do it since peeling can be caused by both a too short press and too long. When pressing multiple layers its important to remember that the first layer will receive the additional heat of each press afterwards. Say you pressed a 4 color design for the recommended 15 seconds for each layer. The first layer would end up with a total pressing time of ONE MINUTE. That is one burnt cookie. How about another example? This time showing the right way to press HTV! If you’re working with an EasyWeed product, you have the benefit of the 1 second tack. Any other HTV can be applied with the Glitter method. All presses should be done with a cover sheet of some kind. Check out tip #3 for the reason why! Over baking HTV leads to shrinking HTV! Short presses reduce the amount of shrinking from HTV and your garment. This is especially important for maintaining proper registration and alignment of your designs. *Pro Tip: Use magnets to anchor a heat transfer cover sheet to the top platen. 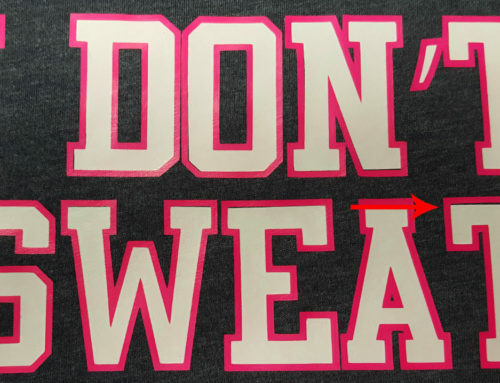 Previously applied heat transfer vinyl without a carrier sheet (like the first layer of a multi-color design) can melt or leave adhesive residue on the pressing platen. The residue on the platen may not be noticeable, but the next press without a cover sheet could adhere a random piece of gunk to the garment. A cover sheet keeps everything clean. Cover sheets also offer a layer of heat protection to prevent heat sensitive items from scorching. Remember those pesky carrier marks we talked about in tip #1? Well they’re easily dealt with if you use this trick. 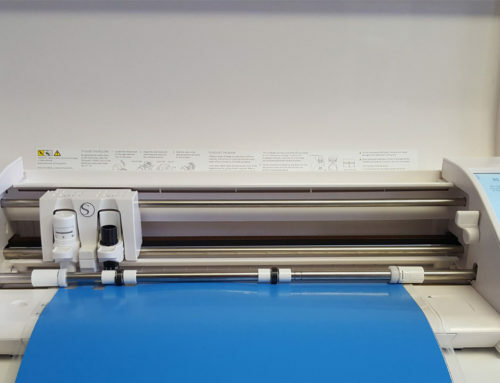 Press the HTV with the carrier for 1-5 seconds, peel the carrier according to the product, then place a cover sheet on top and press for the remaining time. Peeling the carrier early prevents it from embedding in the bottom layer, and pressing with the cover sheet evens out any marks. Glitter is the star of the show, so it’s never on the bottom! It might also have something to do with durability…Ok fine, it’s all about durability. The textured surface of Glitter does not provide an applicable area for HTV, It can cause the material to peel off after washing. So if you want to use multiple kinds of HTV, ensure your design leaves Glitter only on top. This rule also applies to Holographic. But what if you want a look that’s multicolored and all Glitter? You can do it! 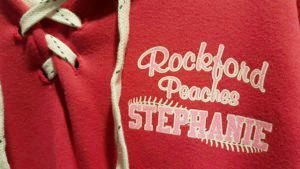 Just be mindful of your artwork and check out How to Layer Siser Glitter HTV for all the details. This method eliminates bulky layers, allowing the garment to move naturally with the body. So it’s not just a good trick for Glitter, but for all HTV layering! See how we used the same method with EasyWeed Stretch in this post. So now that you know the tips and tricks for layering heat transfer vinyl, you might be wondering How Many EasyWeed Colors Can I Layer? 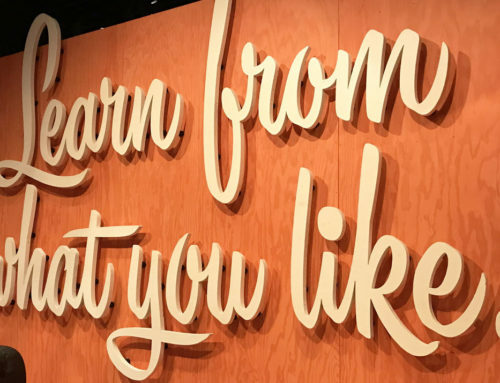 The best HTV projects start with a great design and this post will help you start designing smarter! I am doing a layering, but everything is vinyl, two layers, the top is Gillett but I want to put a 5 on top of that with vinyl and an edge.. will that be a problem? I am doing chew layers of vinyl the top part glitter vinyl but I need to put a 5 and Edge it with a vinyl would that be okay? Hi Ophelia! Glitter is only recommended as a top layer, and should not have another HTV layered on top of it. However, you can still create a layered look by creating a knockout design. This video explains the knockout method. Hi Jennifer! Siser® HTV can be applied in a range of temperatures. When applying heat transfer vinyls with 2 different temperature settings, it’s best to opt for the lower one. Which in your case is the 305°F for EasyWeed®. If you can press both colors without overlapping the plastic carriers, then 1 press for 15 seconds will do the trick. However, if you’re layering the HTV directly on top of each other- I’d suggest tacking the EasyWeed down for 1-5 seconds, peel the carrier hot, and then tack down the Glitter the same way. After peeling the Glitter carrier, press for 5 more seconds. Make sure to use a heat transfer cover sheet of some kind to protect your layers. Hi Rhonda! Bubbles sometimes occur from too much heat. It’s possible you need to lower your temperature or press for shorter periods of time on each layer. EasyWeed® only needs 1-3 seconds of pressing time per layer if you’re using a heat press with medium pressure. Are ALL Siser Easyweed products able to be layered…or just the HTV? Hi Karla! 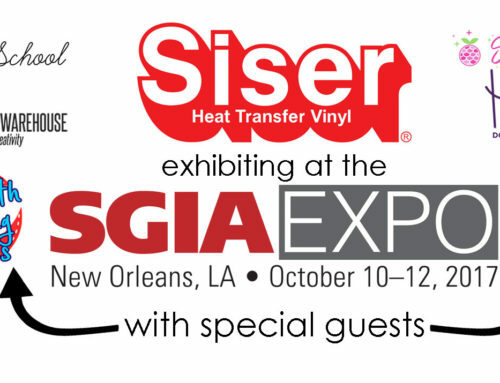 All Siser® EasyWeed® products are heat transfer vinyl and can be layered. Siser® pressure sensitive/adhesive vinyl is EasyPSV™ and all can be layered as well. I really enjoy crafting and making unique shirts and bags for my family and friends, and I’ve just decided to start looking into siser htv rolls as a way to add a little sparkle and flair. Your tips for how to apply them is really helpful, especially your tip to cut close for reducing carrier impression marks. It’s good to know that I can layer HTV, and I’ll definitely take your advice and keep my pressure lower for the second layer. My customers keep having issues with the top layer (on 2 layer stuff) peeling off – any suggestions ? Hi Sarah! Which types of heat transfer vinyl are you layering and what was the time, temp, and pressure you used to apply them? Some HTV (like Holographic and Glitter) can only be a top layer. Other HTVs (like those in the EasyWeed® family) can peel from uneven pressure caused by seams, buttons, zippers, etc. You may want to watch this video on uneven pressure and how to correct it with heat transfer pillows. If you’re still experiencing issues, please email our tech team directly at support@siserna.com. I forgot to add a name o an already htv pressed shirt, how do I fiix it without damaging the rest of the design? Hi Bianca! Applied HTV can be pressed again with a heat transfer cover sheet on top to protect it. 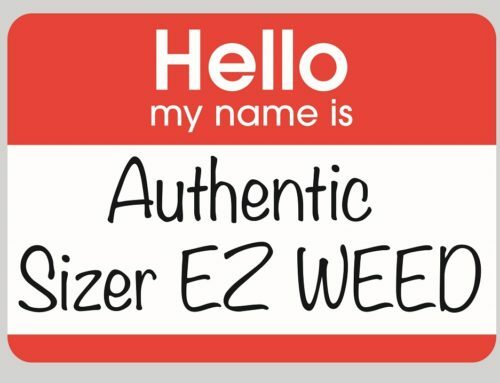 Quick question … can you layer regular EasyWeed on top of Black Board HTV ? Hi Juanita! We do not recommend layering with BlackBoard™ HTV. I’d suggest using the knockout method to give the appearance of layering. Making my great granddaughter a poppy troll on her 2nd birthday shirt…small and layers…did 1 layer fine..2nd layer pealed up and stretched..do I need to wait til the first layer is cool? I have removed the design and recut the first two layers..any other hints? Using siser. Hi Sharon! Which HTV are you using, what are using to heat apply it, and how long did you press each layer? This information will help me advise you best. In the mean time, if you’re using a product from the EasyWeed® Family, we typically suggest pressing each layer individually for 1-5 seconds and peeling the clear carriers while hot. 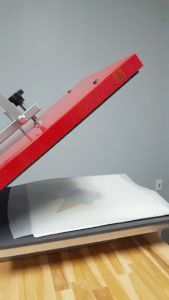 If any areas are still lifting, cover your layers with a heat transfer cover sheet and press for 5-10 seconds. Since you experienced the HTV not sticking you may need to press longer, more firmly, or use a heat transfer pillow under the application area. Can I layer sister HTV on top of sister stretch HTV? Hi Carol! You can layer Siser® EasyWeed® HTV on top of EasyWeed® Stretch HTV. I only have household iron. What setting should I use? How much pressure and for how long? Hi Pamela! For most Siser HTV, we suggest using the cotton setting for 10-15 seconds. Your settings can vary slightly depending on the type of fabric you’re decorating. Check out this blog post for tips on decorating heat sensitive fabrics. You may also want to review this video for tips on properly ironing on Siser heat transfer vinyl. I am new to this craft and need some advice. I am working on a project for a t-shirt, using Siser Holographic and Easyweed Electric. It is NOT layered. Being the holographic is to be applied @ 320 and Easyweed @ 305, should I tact one down first? Which one? What temp and for how long? I am using the Cricut EasyPress 2. Hi Nancy! When applying multiple materials with different temperature settings, it’s usually easiest to use the lower temperature, in this case: 305°F. However, on the Cricut EasyPress, we find 335-340°F gives the best results for EasyWeed® products. If both products can be applied without overlapping carriers then 1 press for 10-15 seconds should be suitable. However if the carriers overlap, you’ll need to press the products separately. In that case, I’d recommend tacking the EasyWeed® Electric first for 1-3 seconds and peel the carrier hot. After, you can place the Holographic HTV and press for 10-15 seconds. Remember to peel Holographic’s carrier cold though, otherwise you could experience lifting. 1. I have been trying the 1 sec tac on the 1st layer but when I hot peel, some of the image/vinyl is staying on the carrier sheet. I have been pressing the 1st layer sometimes up to 5 sec then the second layer does not line up because of shrinking. I have my press at 305. What am I doing wrong? 2. I wanted to do an image on the front and back. Would you suggest a pillow or some kind of barrier so the opposite side I am working does not bet over heated? . 1. Often when the time and temperature are correct and lifting occurs there is a problem with pressure. I’d suggest using a heat transfer pillow and trying the 1 second tack again. 2. Yes, a pillow is recommended to be inside of the garment if you’re unable to thread it on the lower platen of your heat press or if you’re working with a home iron. Additionally, I’d suggest laying a cover sheet or piece of parchment paper on the lower platen when you flip the garment over to press the other side. This ensures the HTV that’s already been applied won’t pick up anything from your lower platen on the second set of presses. Hello, is it possible to layer on top of the Colourprint pu vinyl? Hi Kate! ColorPrint™ PU can’t be layered, but you could make a layered look if you use the knockout method. I have someone who wants me to just cut the images and they said they will iron them on themselves but now they want the letters in layered colors. I’m new to this so not sure if I send them the pieces and they do it all themselves or is there a way I can layer them for them and all they have to do is slap them on..tia! Hi Jenni! There’s isn’t a way to pre-layer HTV before applying it. You can stick the carriers together, but each color will still need to be applied individually. I completed a multi layer dress but after one wear the bottom layer is peeling up. Can I fix this? Hi Sara! Yes, you can fix the lifting HTV by re-covering the area with a heat transfer cover sheet and pressing for 5 second intervals with your heat press or iron until it’s re-adhered. I am making a design where the bottom is regular siser htv vinyl and I am layering with siser glitter htv vinyl. The glitter is getting all over the plain vinyl? Is there anyway to prevent this? or remove it? Hi there! To remove the loose glitter from plain HTV, wait until it’s cool and then use a lint roller or your hand to brush the flakes away. 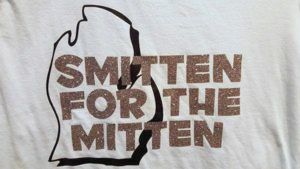 To avoid this on your next application, you can tack the Glitter HTV for 1-5 seconds, peel the carrier, and re-cover with a heat transfer cover sheet before pressing for the remaining 5-10 seconds.